I finally caught the baby kicking on camera! He has a tendency to stop kicking once I grab my phone or even place Daddies hand on my bump. I can tell he is mischievous already! Enjoy. Tonight Nick and I went out for a nice meal together. We are making the most of the time we have left of it just being the two us of. We can't wait for our son to be here and to have our own family but it's also the end of an era and that is still a little sad. We had a long wait for our meal to come and we just sat there talking about the baby all while our little bubba kicked away happily in my tummy. At one point I even grabbed Nick's hand and pulled him over the table while our boy kicked away. People must of thought I was barmy! We wondered what he is going to look like. What his personality will be like. We spoke about all the things we can't wait to do with him. We thought about what his favourite foods will be. Speculated if he would be like Mummy or Daddy. 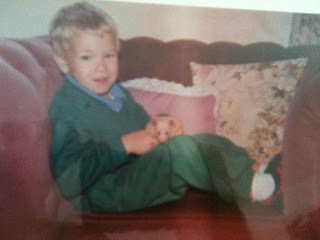 We even imagined what he would be like when he is older, bringing home his first girlfriend! It was really lovely. We obviously think and talk about him all the time as all expectant parents do but now that time is flying by the excitement and anticipation is literally pouring out of us. 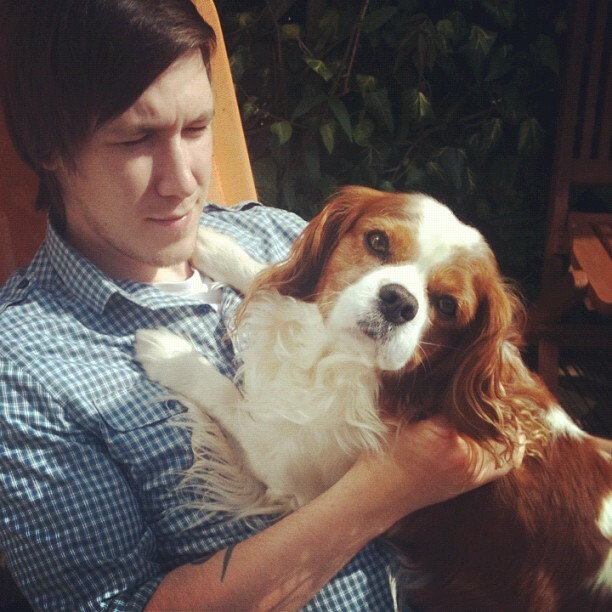 I'm not being biased but I think Nick will make a brilliant Father. Everyone always comments on how much of a nice man he is. There is nothing he wouldn't do for the people he loves, he is so supportive in everything I do and sometimes I wonder how I ever got lucky enough to be with someone like him. I know our child will love him just as much as I do. I can't wait to have our own little family. 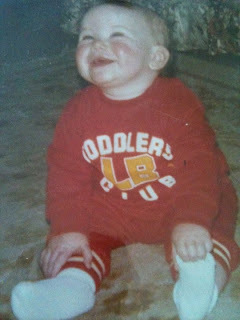 Daddies Double or Mini Mummy? I am always wondering what our baby boy will look like. Will he be his Daddy's double or a mini me? I am so excited to see our baby for the first time. What colour his eyes will turn out to be? What colour will his hair be? Will be be born with hair? Is he going to have big long legs like his parents? The list is endless. When I am led in bed at night all I think about is that moment when he is born and placed in my arms and my heart literally swells with love. When I imagine our son in my head I see him with my eye colour but his Dad's oval shaped eyes. 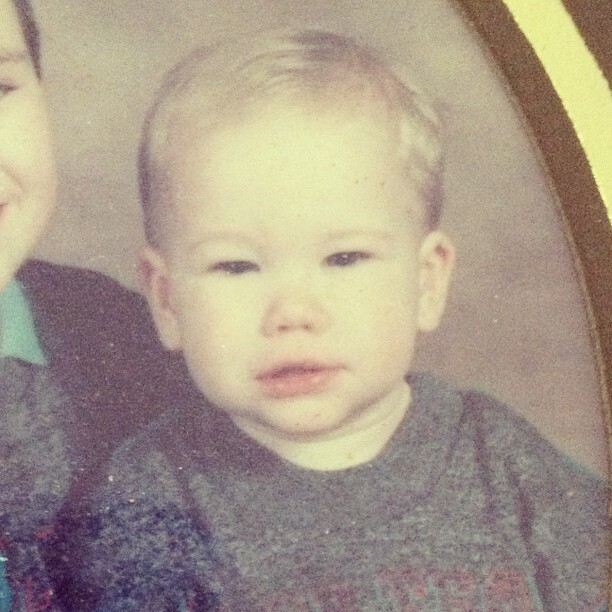 With blonde hair, a little button nose and chubby cheeks! Only time will tell. I wonder if any of my speculation is correct! I thought I would share some pictures of Nick and I from when we were babies and once our little bubba is here I can look back at this post and see if I was right! 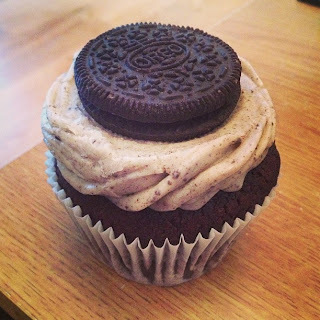 One thing that comes hand in hand with pregnancy are the cravings and when I first became pregnant I used to wonder what crazy cravings I would develop. Sadly as of yet my cravings have been a little boring. No nibbling on coal or chewing sponges! The only time my cravings have gotten a little crazy was when I ate half a lemon. I actually sent my other half to the shop to buy me a lemon. 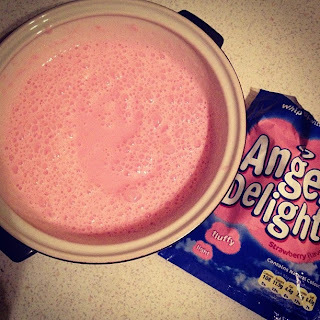 He came back, I scoffed half then had the worst heartburn known to man. I have also craved things I generally never eat such as tinned hot dogs! Normally the thought of them make me want to gag but one night it's all I wanted to eat. That is about as strange as it has gotten for me so far. When I was in first trimester it was all about the orange juice and ready salted crisps. I was suffering from bad nausea so they were two of the only things that I could actually stomach. 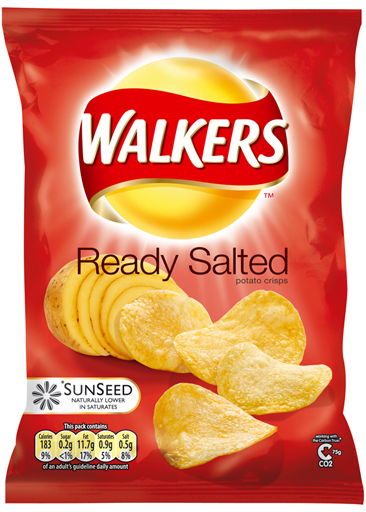 Then that craving evolved and I began dipping my ready salted crisps into Philadelphia cheese. Very naughty. Next up in second trimester it was all about dairy. 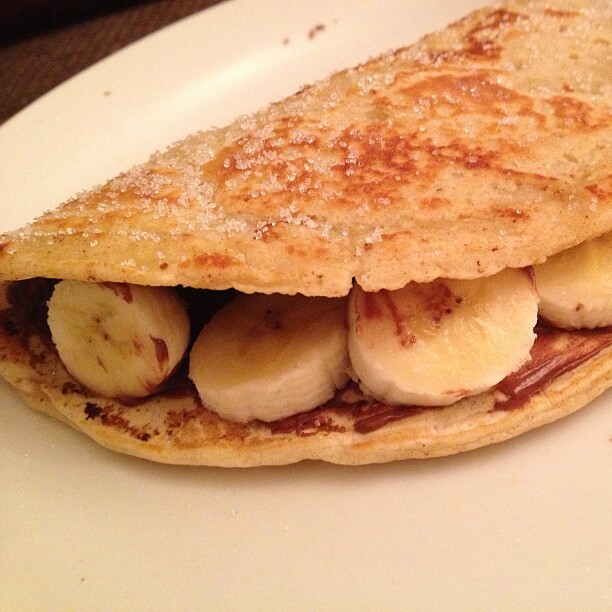 My favourite snack would be chopped banana smothered in Nutella and doused in squirty cream. Big tall glasses of milk and cheese butties. So far in third trimester it is all about the Crunchy Nut Cornflakes. My nausea seems to have returned so hopefully that will go away soon so I can continue on my epic food fest! Here are some of the delicious foods I have craved whilst being pregnant! Everyone loves a good food picture or ten! What foods did you crave in your pregnancy? PS: I have really enjoyed using the excuse of eating for two on more than a dozen occasions! I will miss that one once baby is here! As I am currently pregnant I have been totally gaga lately! All I can think about is anything baby or pregnancy related and don't get me started on the baby brain. 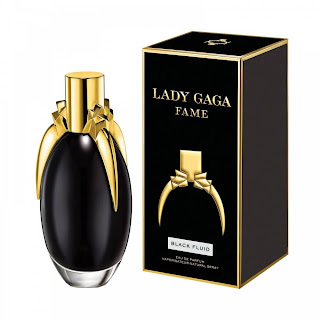 I decided to spread a little gaga by offering one lucky blog reader the chance to win a bottle of Lady Gaga Game Eau de Parfume! All you need to do to enter is follow the steps on the rafflecopter! Good luck! 1. 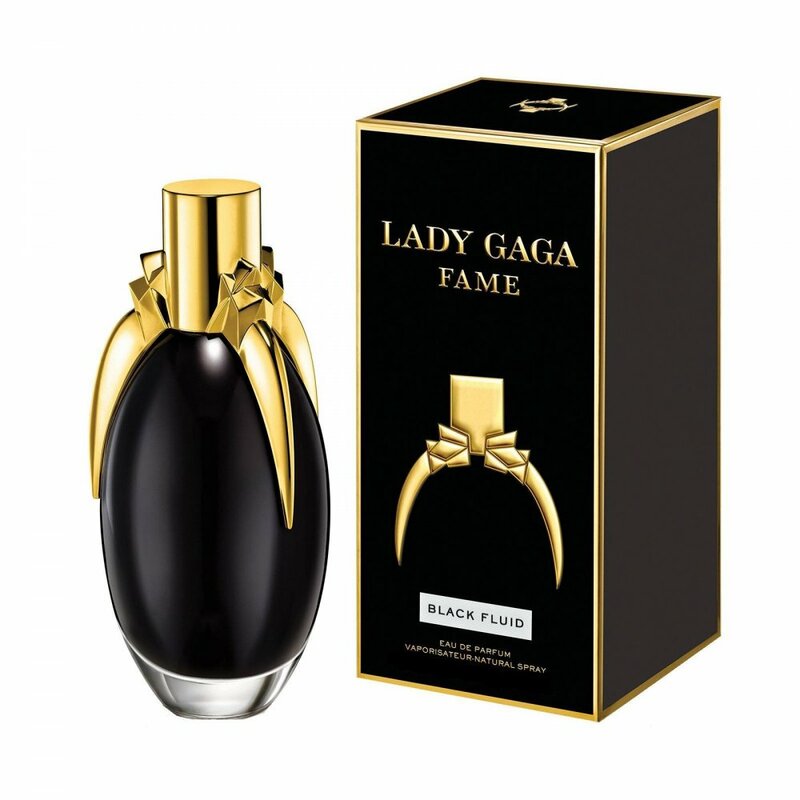 1 bottle of Lady Gaga Fame Eau de Parfum 30ml to be won. 2. You must follow the rafflecopter requirements for entries to be valid. 4. Winner will be announced on twitter and facebook. I've had my fair share of crazy dreams in my time but pregnancy dreams are a whole new level of crazy! 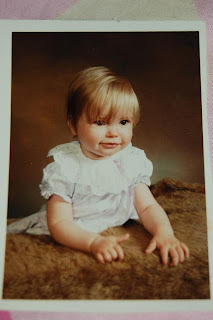 I thought I would write and share some of the most baffling dreams I have had since becoming pregnant and hope you will share a few with me. I had a feeling from day one that I was having a boy. Mainly because I was having constant dreams of me giving birth or holding a baby wrapped in blue. Many pregnant women report that they dreamt of the gender they were having before they actually knew. Mothers intuition or just chance? 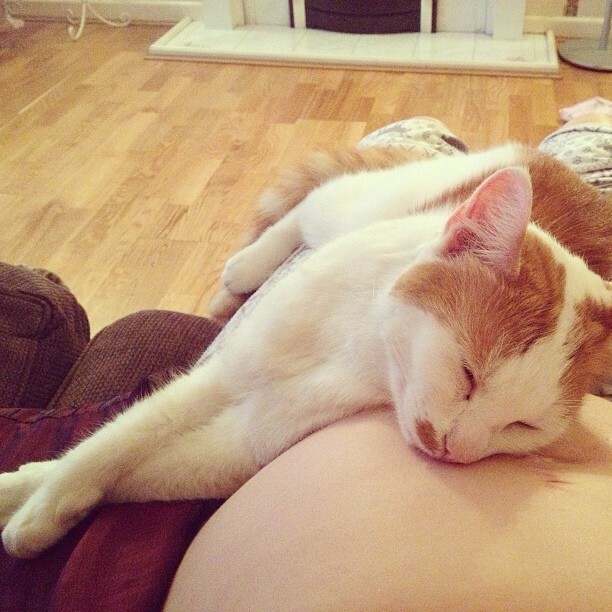 Here are two of the most memorable dreams I have had during pregnancy. I was in labour on my own at home so I rushed straight into hospital. The hospital was just strange, everything was green. Shortly after I had the baby my Mum and Nanna waltz into the room to visit. I ask "Where's Nick?" and they tell me that they have sent him to the shop! I ask them why on earth they have done that, that he should be first to see the baby. My Mum said she didn't agree with that. So I screamed at them to leave. So then I am on my own with the baby but the Doctors take him away. Shortly after they take him Nick comes in and apologises for missing everything and asks where his Son is. I tell him that he's just missed him and the Doctors have taken him but I have a photo on my phone if he wants to see it? I then end up walking around the hospital looking for our baby which I can't find. That dream left me in a panic when I woke up. I literally thought it had happened. One look down at my bump reassured me! Next up is a dream I had last night. Again it was another dream involving labour. I had the baby at the hospital, it was all very quick. They then took the baby away without letting me even letting me have a glimpse of him. Everything was fine with him but they just took him away. 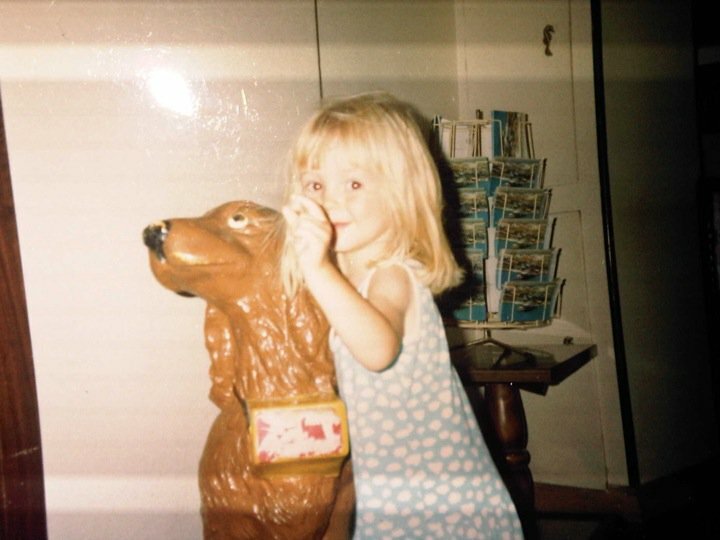 I then was sent home! While I was at home I was ringing up the hospital every ten minutes asking if I can come in and see my baby and that I hadn't even seen him yet! It's almost as though my dreams have a recurring theme. Which are labour, being on my own and having my baby taken away. Perhaps subconsciously these are things I am really frightened about. I would like to know that I'm not alone on the crazy dream front! So feel free to share some of your pregnancy dreams. 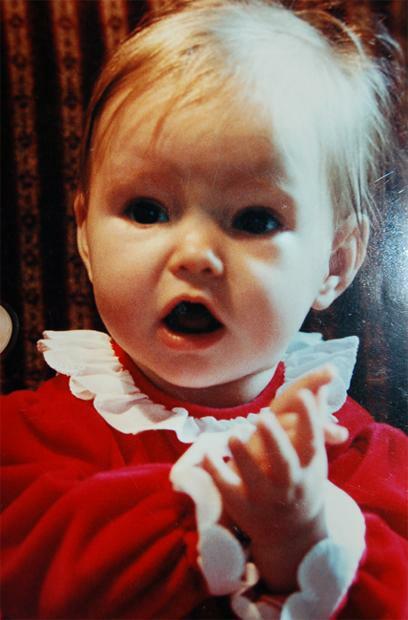 One topic I love to talk about is the moment you found out you was pregnant! Where were you? What went through your mind? How did you feel? Who was you with? 101 questions I know but I would love to share my story with you and hopefully you will share yours too! I did briefly tell you my finding out story here but I will recap! Nick and I had only been trying to conceive for a month and knew that it can take months to become pregnant. So we had in our minds that it would take a while. But a few days after my fertility window closed I just felt totally different. I was an emotional wreck, cranky and exhausted. Then later on I began seeing changes with my body. 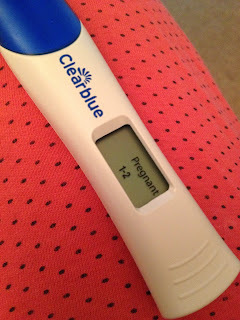 I knew I was pregnant, just knew it! But I also knew that your body and mind can play tricks on you when it comes to conceiving so I tried not to get my hopes up too much. I wouldn't stop talking about it to my other half. 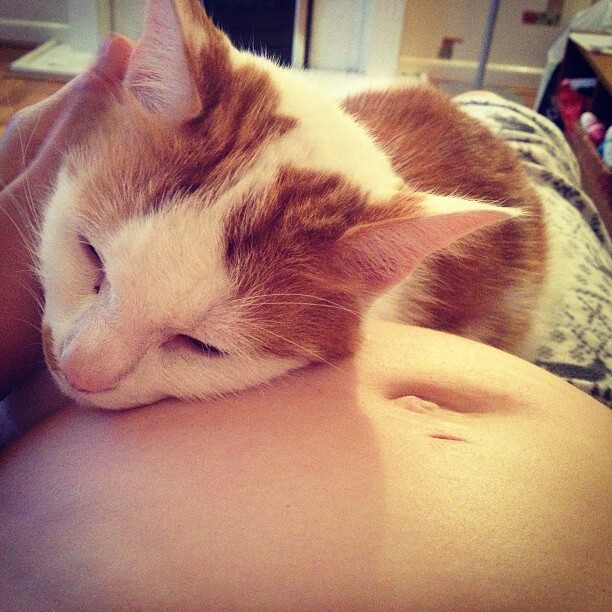 It was almost like I was trying to convince him I was pregnant! We wasn't able to test yet as it was too early so we had to wait it out. What a long wait that was! I bought a dozen cheap test strips on ebay and I started testing everyday. Everyday there was no little red line. It was still too early to test but I did it anyway. I kept testing, morning, noon and night. Then one morning I was sleepily testing at the crack of dawn and I saw that little red line! I ran into the living room where there is better light and there it was the faintest of red lines but it was a red line none the less! I burst out crying and was saying to myself I knew it, I knew it! I was dancing around my front room on my own like a loon. My better half was at work so I had to refrain from ringing him all day and that wait was dreadful! I just wanted to scream the news to him! It just so happened that I got my positive test result on the day of our 5 year anniversary too. How perfect was that? It was almost like it was meant to be. I took another three tests that day just to make sure and lined them all up on the bed for when Nick got home. I remember when he walked through the door and I was just trying to keep the grin off my face. I was literally on cloud 9. 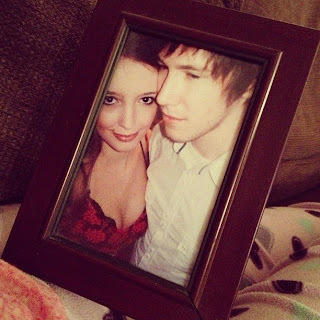 I pulled him into the bedroom, pointed down to the tests and said "Happy Anniversary!!" His face was priceless! 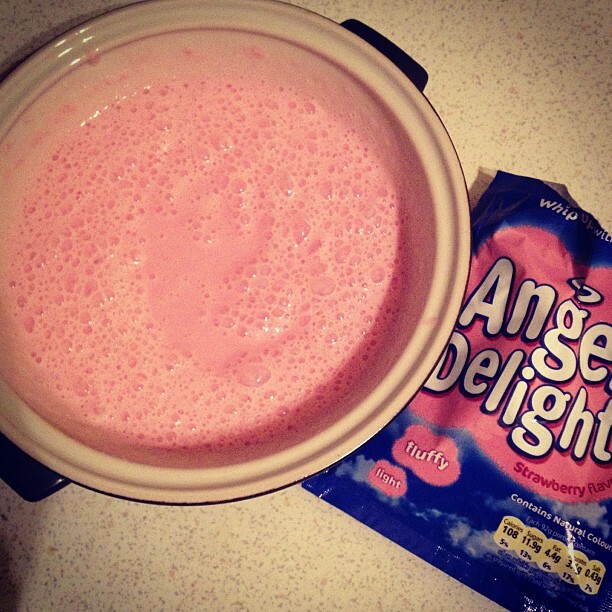 We were then both in our element and just could not stop smiling. I will remember that day forever! Please share your stories, I would love to hear them! Personally I think I have had a fairy easy and straight forward pregnancy so far. I haven't had any health issues or even any morning sickness. I am so thankful for that and I feel for the people who have had it harder than me. That being said I have had occasions I have found difficult, the easiest of tasks can become daunting and I am always worrying about something. There have been things which have made those times easier for me or have lifted my spirits. I decided to write a post dedicated just to them! At the start of my pregnancy I really suffered with nausea. 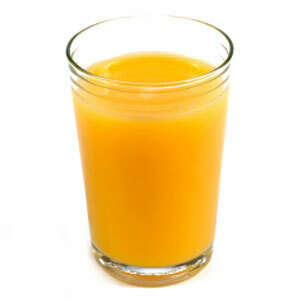 I found that having a glass of good old OJ really helped especially when drunk in the morning. It also gave me the energy kick I needed and it felt good giving baby and I a great source of Vitamin C. At times I went through a litre of the stuff a day as it eventually developed into a major craving. As my pregnancy progressed I seemed to wean myself off the orange stuff as it began giving me terrible heartburn. All of the Cussons Mum & Me products, from bubble bath to stretch mark cream are fabulous but I found that the sleep mist to be the most helpful to me. I've been through times where I have found it hard to drift off to sleep and a quick spray on my pillows and bedding really helps me feel relaxed and in no time I will be dozing off. I think I will be buying this product for years. This is the perfect app for any expectant mothers. I downloaded a dozen apps when I first found out I was pregnant and this one is by far the best. I have used it daily. Not only is it simply the best but it has everything you need all in one place. It keeps a track of how far along you are, how long you have left. Daily tips on your pregnancy as you progresses. Weekly updates on your babies and your bodies development and much much more. Recommend this one to all pregnant mummies out there. Not just for helping with nausea but for also helping with feeling lethargic. 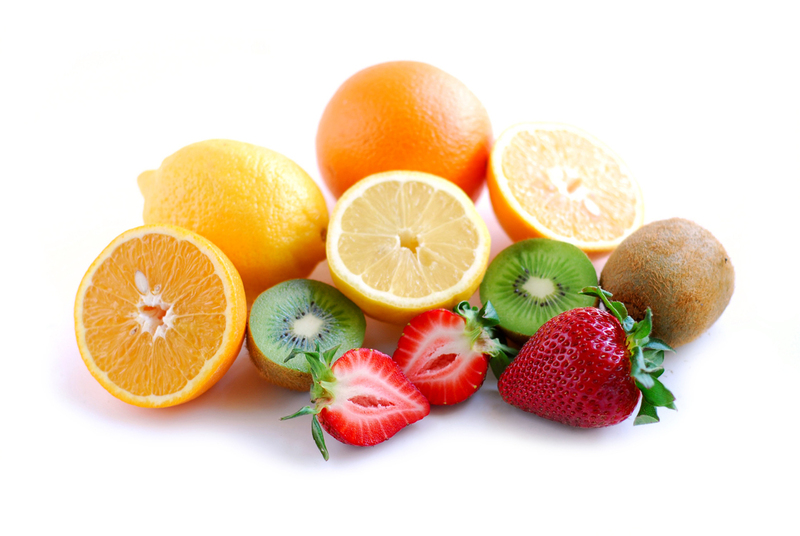 Eating lots of fruit gave me energy when I needed it most and generally made me feel healthier in myself. I have always been big on eating fruit but again my pregnancy seemed to enhance that and it was one of my major cravings. When you crave healthy food you have to make the most of it cause the next week you could be craving tinned hot dogs like I was! Yuck! Before I was pregnant frumpy and fugly came to mind when I imagined Maternity clothes. I also worried about the price and thought that I would just give the whole thing a miss! Safe to say I am converted. 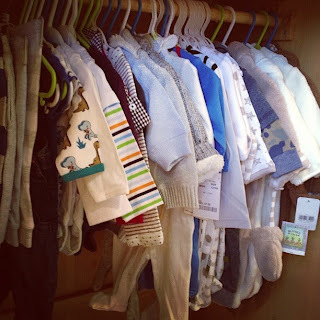 I was pleasantly surprised of the ranges of maternity clothes I have found on line and in stores. Particularly Topshop, New Look and ASOS. I have found super stylish yet comfortable clothes at extremely affordable prices. Money well spent in my eyes. Bit of a no brainer but sleep! I napped wherever and whenever I could. Nothing helped more than a little cat nap here and there. 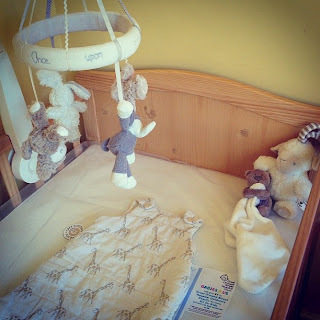 A novelty that us parents need to make the most of before our little bundle of joys arrive! There's plenty more I could add and I probably will update as I go but these random things have been a blessing during my pregnancy! Being a self confessed geek I jumped at the chance to review these fabulous headphones! 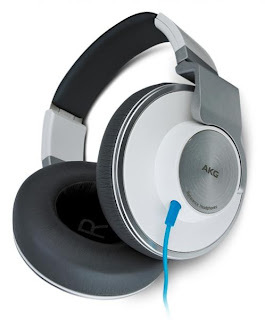 AKG is a big name in the industry. Boasting top quality professional equipment at mid range prices. On first glance at the AKG K551 headphones you can't help but notice how stylish and modern they are, perfect for any chic geek! These are very large headphones, which fits in with the current trend. This makes them slightly less portable than others. I like the fact that they actually look like a pair of mini speakers. You can tell straight away that this is a quality product. I was sent the silver pair to review and the only thing that I would change about the appearance is the blue wire. It looks a bit out of place and would look so much better in black. closing off all audible contact with the outside world. Just be sure to adjust them properly to suit, or you may find a slight loss of sound. Make no mistake about it, the sound quality through these headphones is pretty astonishing. You can literally hear every tiny detail of every kind of track you put through them. This is definitely a plus point, being that they are reference headphones. They would be perfect for use in a professional setting, such as music production and band recordings. I think what impressed me the most performance wise, was that there is little to no sound leakage whatsoever. You can pretty much hear nothing outside of whatever you are listening too, which makes them great for use in busy or noisy environments. Overall I would say these headphones are most suited in a professional setting such as recording studios. They are so well made that nothing you are listening to will be missed and you can be sure that whatever is going on in the outside world, it won't interrupt your favourite track. You feel fully immersed in the music and extremely comfortable! I was not paid for this review but I did receive a pair for the purpose of this review. All opinions are my own. 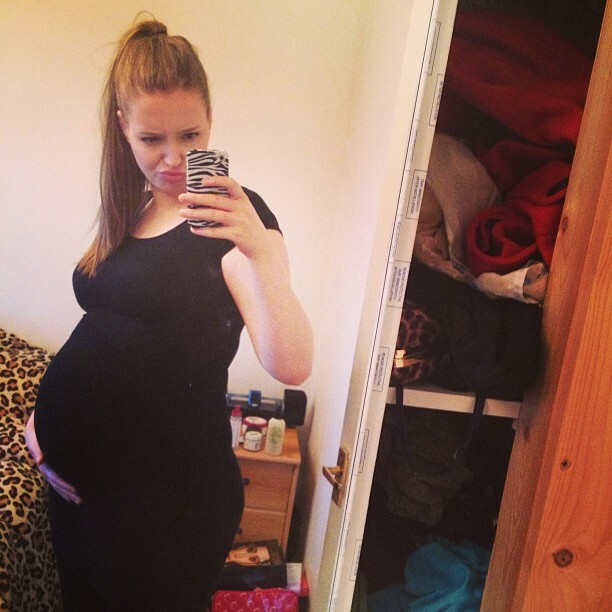 24 & 25 Weeks Pregnant. I'm a little late with this post! I am writing this at 26 weeks pregnant but this post is all about week 24 and 25. I feel great, my energy levels are fine and I feel very chipper most days. Only thing that has gotten worse is my heart burn but it's nothing a glass of milk or a swig of gaviscon can't cure! As my bump gets bigger I am finding it harder to get comfortable at night time. I have a dream genii pregnancy pillow which is so comfortable but it seems to stop me from being able to sleep? 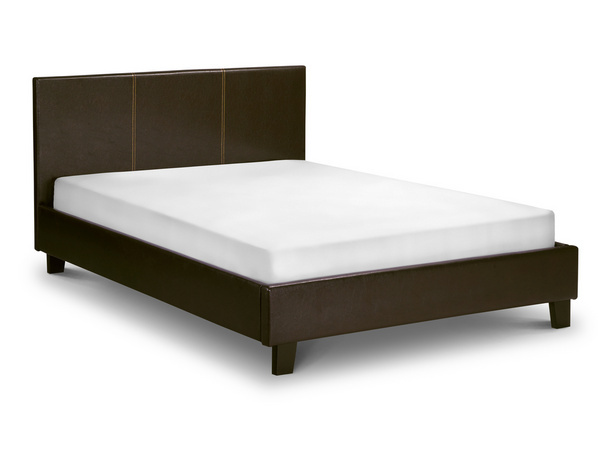 Every time I have tried to use it I have been as snug as a bug but I just can't sleep? I think I am starting to get some pregnancy insomnia too. Some nights I will be shattered but I just can't seem to switch off and shut down. All worth it though! Me at 24 weeks. Can you tell I am bump obsessed?! Baby boy is kicking all the time now. He is so strong! I love those kicks and will really miss them once he is here. 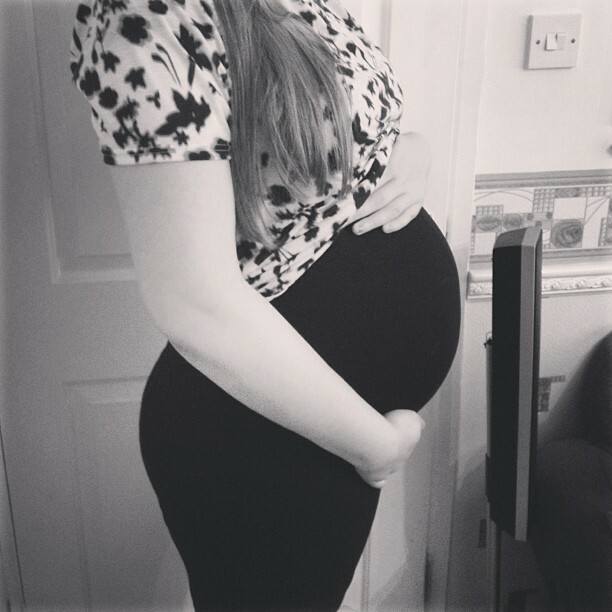 I am loving being pregnant and never would of thought it would agree with me so much. 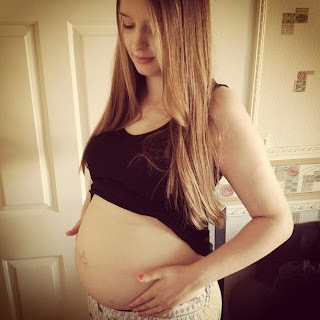 I know every pregnancy is different and the next pregnancy I have could be terrible but for someone who used to freak out at the thought of being pregnant I am absolutely astounded at how much I love it! I just hope I don't get addicted to being pregnant, ha ha. We think we have decided on a name. From day one we had a long long list of names that we liked or would consider using. Once we went through that list there was literally only three names that we both liked enough and agreed on but only one name we both adored. That name being Noah. I must admit we are already referring to him with his name so hopefully when he is here he looks like a Noah! Nick and I had a week off work during these two weeks. 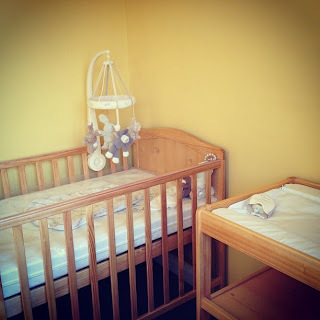 We decided to get cracking on the nursery with our free time. The room we were using was literally used for a dumping ground and every square inch was just full of boxes of things we don't use. It took us a day and many tips to the skip just to clear that! It took me weeks to decide what colour scheme I wanted his room to be. I was stuck between green or yellow. At first I was all about green but once I saw the yellow I knew it had to be that colour! I thought it would be a nice warm colour for him without being too distracting and it would match the pine coloured furniture that we had already bought. We must of looked through twenty or thirty shades of yellow until we found the shade we wanted. Who knew there was so many shades of yellow?! Yellow is just yellow right? Wrong! After we finally selected the colour we went straight to the painting! I had a little go but didn't want to be in the room so long with the fumes so I left it up to Nick. 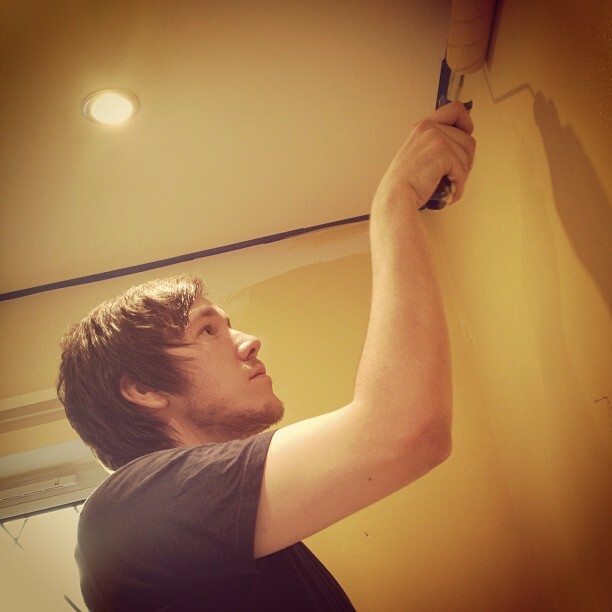 He did a fantastic job to say he had never painted a room before! Thankfully it only needed one coat and then a couple of touch ups. We then ripped up the carpets and went straight to fitting the brown carpet we bought. 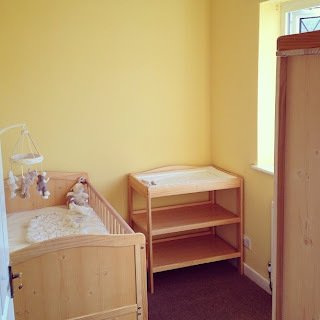 Everything went to well and we had the whole nursery decorated in two days. The following day we had the joys of tackling the flat pack furniture. Again my lovely Nick took the reins and had set up all the bedroom furniture in no time. We only have limited space in the room so we had a play around with where we wanted the furniture to go before we were satisfied. What do you think? 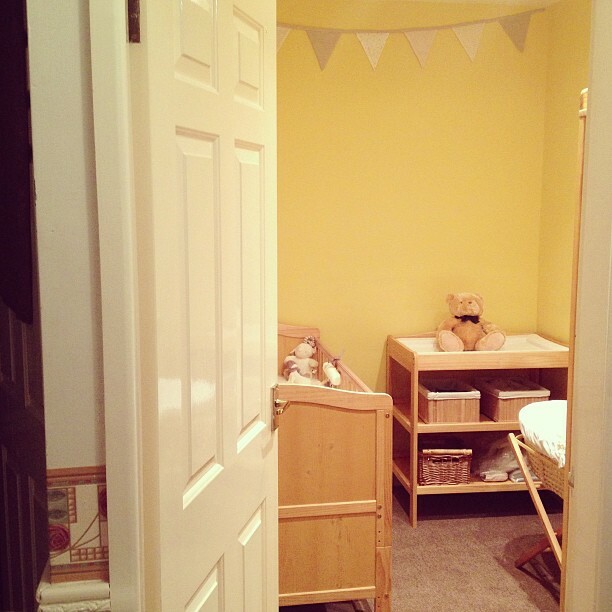 Do you like our nursery? I'm absolutely in love with it. There isn't a thing I would change and I'm so happy with the colour scheme we went for. Now the nursery is done it is one less thing to worry about and it really does make everything seem so much more real! I must admit I do go in there at least twice a day just to have a look around. Makes me so excited! I know he won't use that room for a long while as he will be sleeping beside me in a moses basket for the first few months. Then after that I may even bring the cot into out room! Cannot believe how fast the pregnancy is going! 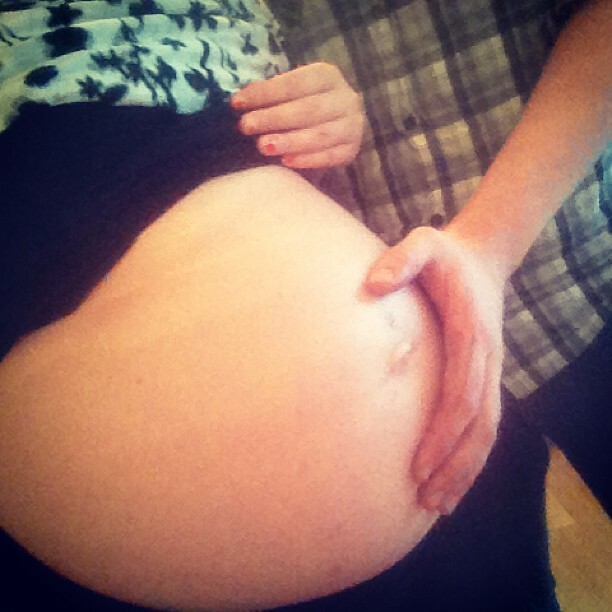 He will be in my arms in no time!